Since spring is around the corner, we are making an effort to ensure we have room in the freezer for the coming crops. The first thing in the freezer each year is asparagus. 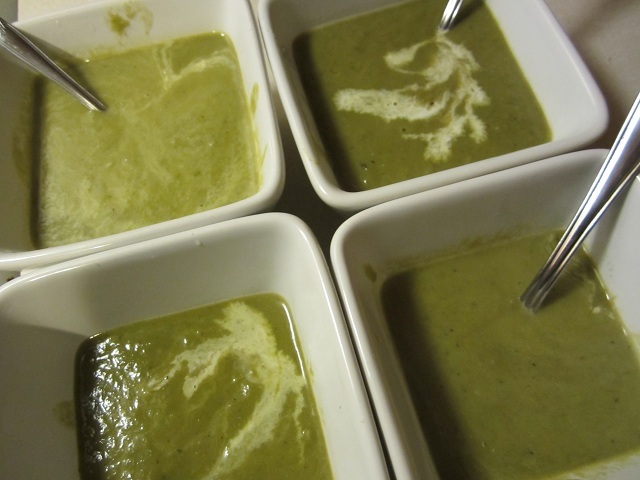 When the asparagus comes on, we try to eat as much of it as we can, but we usually put some aside for the dark days of winter when we need a soup to warm us and remind us that yummy green things are just around the corner. 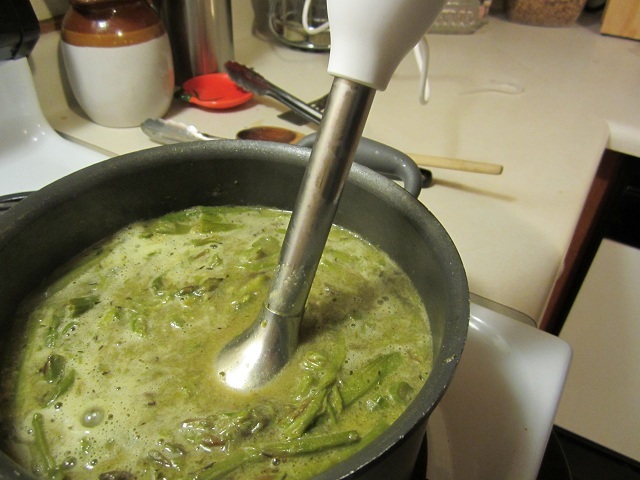 The other night, I used the last of the frozen asparagus in this simple soup. It’s a variation on one I posted a couple of years ago. First, cut three pounds of frozen asparagus into one to two-inch long pieces. Peel and smash six to eight cloves of garlic. 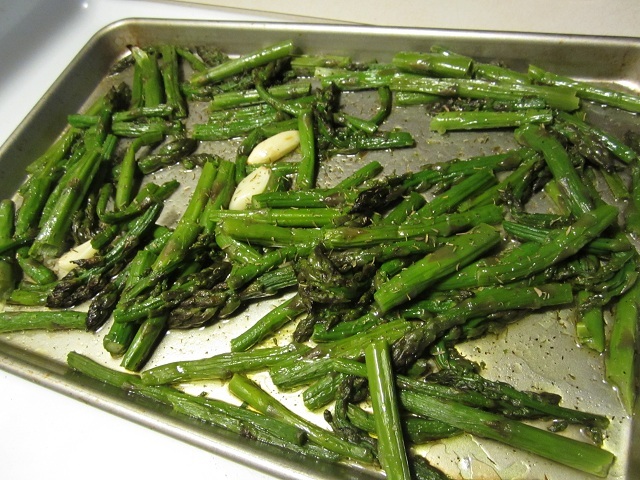 Divide the asparagus and garlic between two baking sheets and toss with olive oil, salt, pepper and dried thyme. Roast in the oven at 450° for about twenty minutes or so (keep an eye on it, I didn’t time it exactly), or until the asparagus starts getting nicely toasted. The above picture isn’t quite done enough for me yet. When you have roasted it long enough, transfer your roasted asparagus and garlic to a large pot. 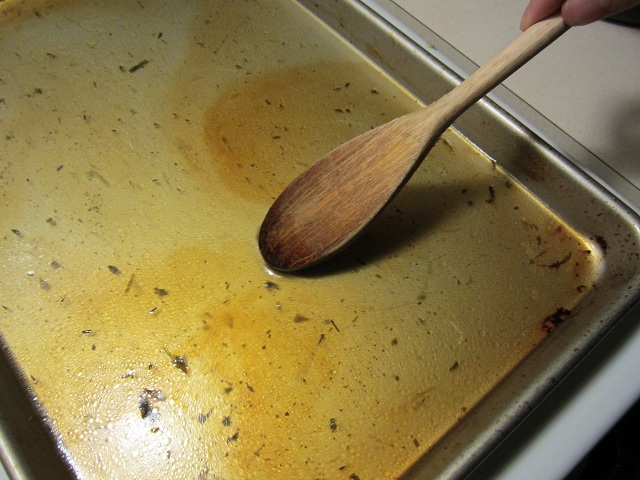 Use a small amount of water in your baking sheets to get up all the brown bits from the roasting and pour that into the pot with your asparagus. Add enough water to your pot to cover the asparagus and bring to a boil. Make a slurry of 3 Tablespoons of flour and about half a cup of cold water. Whisk into your soup. Return it to a boil, reduce the heat and let it simmer for five or six minutes. After it has thickened a bit, use an immersion blender to purée it smooth (or transfer to a regular blender in batches). At this point you could actually cool and freeze the soup. But if you are serving it right away (of course you are), ladle it into bowls and give each bowl a squeeze of lemon and a drizzle of heavy cream. Serve with some cheesy toast and enjoy. hi i love it ummmmmmm!